The Carved Lamps Made By This Tribal Community Will Make You Say Oh My Gourd! 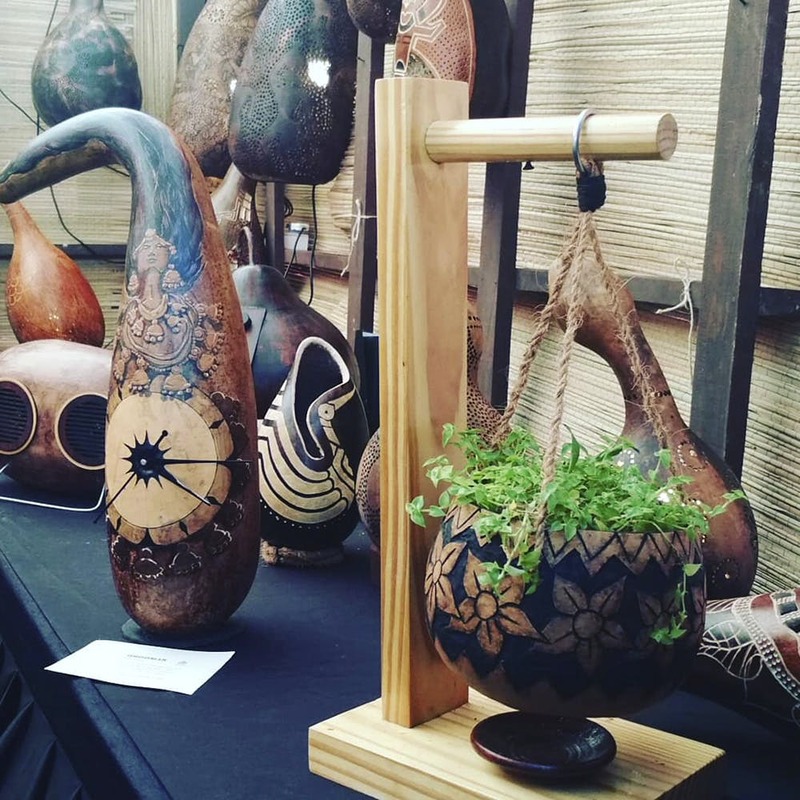 Koyakal’s gourd-based range of home decor products is a perfect example of how useful, and usable art is that various tribal communities (the Koya tribe in this case) bring to the table, literally! Yes you read that right, the products are all made of dried gourds. If Halloween pumpkins excite you, then these gourd-made home accessories are perfect, because not only are they carved to throw interesting patterns of light, they’re also more sturdy (and permanent!) fixtures for home. Using hard, decorative gourds (mainly kettle, bottle, ball and spinner gourds) they're carved to reflect (or throw light on) a distinct tribal art style, and fixed on a wooden stand for support. Using negative spacing, the carvings form the shadow and is perfect for lighting up corners with sprinklings of light. The gourd lights can be placed on tables, floors, or hung depending on the size, and sometimes also come with a working clock dial. Have a pet plant? The hard gourd shell can also hold soil for table plants and succulents, and add a dash of quirk with their naturally whimsical shape. Working with the gourd's naturally acoustic shape, they also make snazzy speakers that can be connected via AUX, Bluetooth or USB. So if your home is designed to look earthy, these home-gourd speakers will fit right in. Check out their store in AECS Layout off Hosur Road. While they have an online store, you can only find the entire collection at the physical store. Some of their pieces are made to order, but the designs are are decided by them. They also appear at pop-ups, especially at malls.